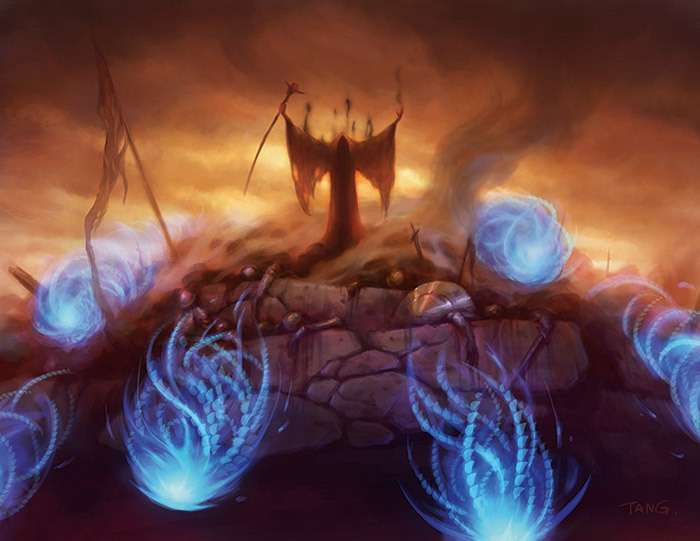 Last week, we went over the mythics of Khans of Tarkir. With depressed prices due to peak supply and fetches driving everything else in the set down, mythics are great, low-risk investments that have the potential to see exponential growth due their relatively short supply. For context, that means that if one million Siege Rhinos were opened in drafts, there would only be 400,000 Tasigurs. And since Tasigur is a rare and mythics appear at a rate of one-in-eight, there would only be 50,000 mythics from FRK or DTK, compared to 125,000 of each mythics from KTK. Keep in mind that these numbers are all purely hypothetical—Wizards does not provide sales data to us plebs—but using these rough proportions can show you just how stark the difference in supply is from a fall-set rare compared to a spring-set mythic: in this case, a ration of 20 to one. With all this in mind, let’s take a look at the mythics from Fate Reforged today. We’ll hit Dragons of Tarkir next week for you completionists out there. So what cards would you pick up? On several cards you mentioned that it’s not the worst, but there were better opportunities but you didn’t identify anything as a pickup. I think Warden of the First Tree is a pretty good target. When Fleecemane Lion rotates, it will be a good fit in Abzan aggro. And $3.50 for a middle set mythic is fine. It can also fit in a GW deck or GB deck. I was thinking about targeting foil Sieges from FRF simply because I love the foil watermarks and I think many casuals might want these down the road. I don’t really know if its a good investment at this point but they sure are pretty!